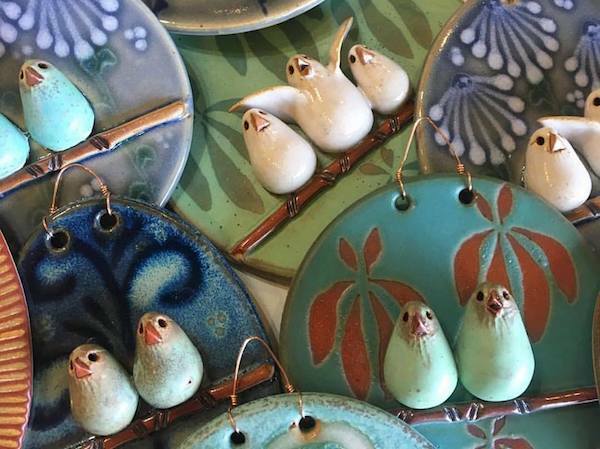 We are absolutely giddy over the latest arrivals from Redman Pottery, Mountain Creative Pottery, Lynn Grizzard, and JMV Ceramics! Learn how to reserve a piece from their next release below… And stay on the look out… New works from fan favorite Darn Pottery just arrived – check Facebook and Instagram for the release! If a piece of pottery catches your eye, grab it before it’s gone! We will continue to update our Instagram, our Facebook page, and our 2017 Virtual Catalogue with new works as they arrive. Since our wares tend to sell out quickly, we bypass the website and go straight to social media. Read about our current pottery classes, browse new inventory, and reserve your favorite pieces below! We hope to see you soon, either online or on the island! Find a New Treasure for Your Home! 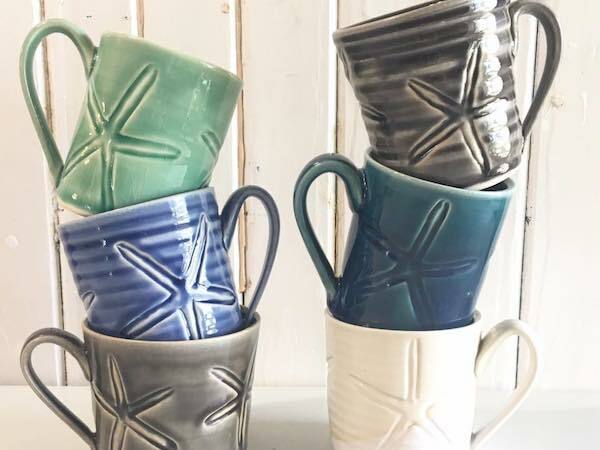 Take a Pottery Class at Kinnakeet Clay! Every week, we offer you the opportunity to hand craft your own piece of pottery! 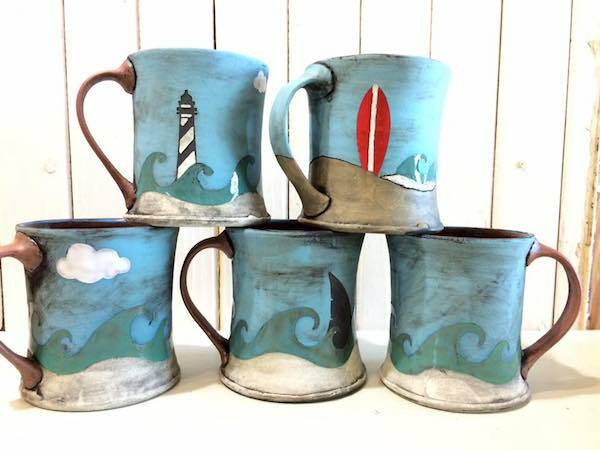 You can take a Mugs & Bowls class, a Fairy House class, and soon – a Tile Fish Class. 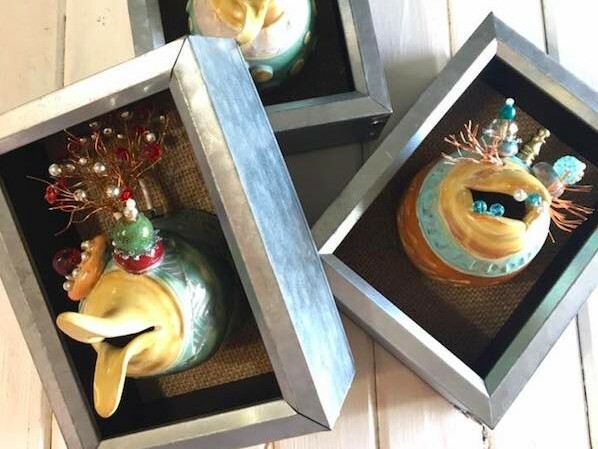 Our classes are suitable for all ages and you will receive your finished piece in the mail after we fire it in the kiln. Watch our Facebook events page to find a class!